Finland is a country of four seasons. Each season and all their annual festivities have their own delicacies. 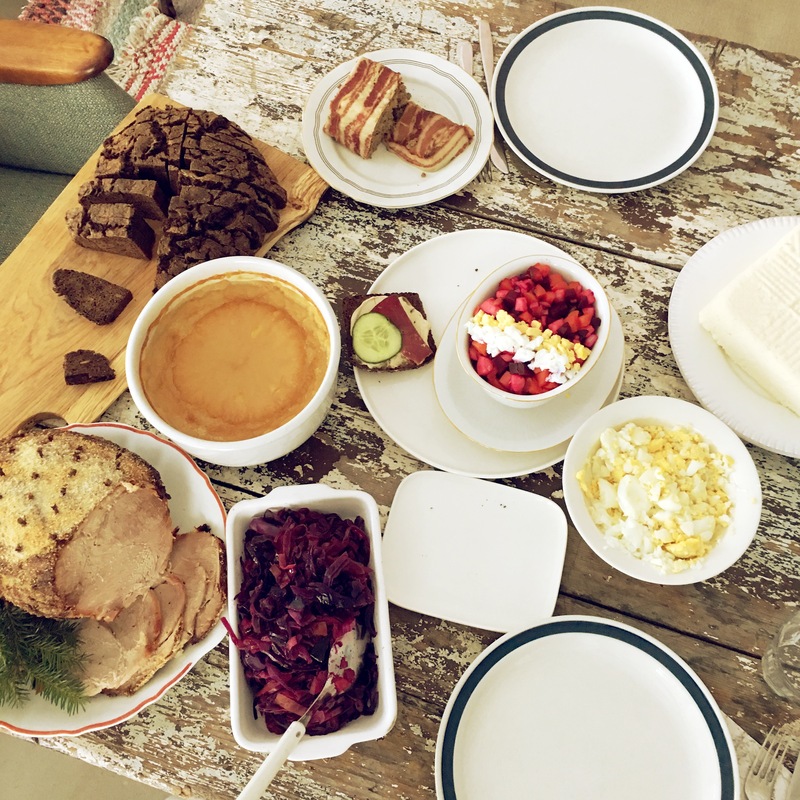 The Finnish food culture combines the Finnish nature’s bounty with peasant traditions and influences from East and West of our geographical situation. The clean taste of the ingredients plays the main role in the Finnish cuisine. At Christmas, it is common to have ham, slightly salted salmon, beetroot salad (“Rosolli”) and carrot and swede casseroles. Since the 20th century ham has been an irremovable part of the Finnish Christmas dinner. Swede and potato casseroles go back to the turn of the 19th century. Carrot and liver casseroles became more common in 1920s and 1930s. Christmas porridge is a common Christmas food and it has been a part of the Finnish Christmas tradition for more than a hundred years. Earlier the porridge was made of barley and cooked with water. At the beginning of the 20th century rice was a symbol of wealth and the Christmas porridge was cooked with milk. The most important day of Christmas in Finnish tradition is Christmas Eve and Christmas is generally considered to be a family occasion.